The dividing line between authoritarian Russia and liberal democracies is growing ever thinner. If a Martian were sent to earth with a secret mission to figure out the trends of world politics, he would certainly be puzzled by the outsized role that Putin’s Russia plays in the 21st century imagination of the west. Almost half of Americans tend to believe that Moscow rigged the 2016 US presidential election; many Europeans suspect that the Kremlin shapes public opinion in their countries; and some of the leading western media outlets insist that Russia’s President Vladimir Putin is the world’s most influential political leader. While in the beginning of this century Russia was viewed as a mixture of failure and banality, today in the minds of many it has mutated into the model of the world to come. Frankly speaking, neither Russia’s brutal annexation of Crimea, nor its military involvement in Syria nor aggressive meddling in American elections could sufficiently explain western obsessions with Russia. It is true that Putin’s Russia is a military power and that the Kremlin has demonstrated its willingness to use force as an instrument to achieve its goals. But let us not forget that Russia is a resurgent rather than a rising power. Its power and influence are just a bleak copy of those of the Soviet Union. Russia suffers from low European-level birth rates and almost African-level life expectancy. Its population has one of the highest percentages of university-educated people, but with the lowest labour productivity per hour worked in the industrialised world. The country is profoundly corrupt and though President Putin is a strong leader, the prospects of Russia’s development after him (regardless of when that “after” will be) are highly uncertain. In the words of Vyacheslav Volodin, the current chairman of the Duma, “there is no Russia without Putin”. So why then is the western political imagination as much or even more obsessed and preoccupied by Russia as by the economic success and geopolitical ambitions of communist China, the global spread of radical Islamist ideology or the craziness of the current North Korean dictator? An answer can be found in classical Russian literature. In this particular case, in Dostoevsky’s novel The Double, the story of a low-level clerk who ends up in the madhouse after meeting his double, a man who looks like him, talks like him, but who displays all the charm and self-confidence that the tortured protagonist profoundly lacks and who step by step is becoming “him”. When it comes to Russia, the west feels like Dostoevsky’s protagonist in the presence of his double. However, the difference between the novel and our reality is significant. While in Dostoevsky’s novel the double looks like a person that the protagonist always wanted to be, for the west Russia has become the double the west fears it could become. While some years ago Russia was perceived by the western public as a shadow coming from the past, now it looks like an ambassador coming from the future. What happens in Russia today can take place in western countries tomorrow. “Putin’s Russia is united and invincible”. Source: Vkontakte. Russia is a classic example of a non-democracy functioning inside the institutional framework of democracy, a political regime in which elections are regularly held but in which the ruling party never loses power. It is a regime in which periodic pseudo-competitive elections are instruments for disempowering, not empowering, citizens. So the story of Russia’s stage-managed elections provides a historically vivid illustration of the way in which institutions and practices that originally emancipated citizens from the whim of unaccountable rulers can be refashioned into trompe l’oeil machinery that effectively disenfranchised citizens. What Putin’s Russia teaches us is that the mere fact that elections take place and formally elected governments are in power does not mean that the electorate’s voice is heard. Could it be that competitive elections in the west – shaped by the manipulative power of money, disfigured by growing political polarisation and emptied of meaning by a lack of genuine political alternatives – resemble Kremlin-engineered elections more than we like to think? Could it be that the global spread of democracy signals not the liberation of the masses but the liberation of elites from the electorate? Russia’s current experience prefigures a growing global disappointment with the classical ideal of an open society, with liberalism’s faith that the opening of borders and the existence of freely flowing information necessarily empower citizens and improve their lives. Similar to the threatening flow of migrants coming to the west, Kremlin’s alleged attempts to interfere in the electoral process of western democracies has also become a frightening illustration of the dark side of a world without borders. Moreover, Russia provides the most radical example of the feudalisation and the incoherence of the state in the age of globalisation along with the emergence of a post-labour society. 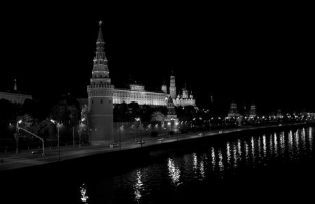 Inside Russia’s deep state, different departments or agencies – the ministries, the police, the prosecutors, and so forth – may seem irresistibly dominant to ordinary citizens, but they spend much of their time fighting each other, often over the control of liquid assets, and face no real incentive to cooperate for a shared purpose. This kind of loose-knit and conflict-ridden state can neither impose itself consistently on society nor respond intelligently to social pressures and demands. What disturbs western observers is that while reasons for the growing incoherence of western states do not necessarily resemble the factors shaping the Russian case, the trend is similar. The loss of a shared national purpose radically undermines the interoperability, or capacity for rationally guided cooperative action, of increasingly fragmented state institutions worldwide. Significantly, the Russian experience also sheds light on the global phenomenon of “superfluous people” produced by a worldwide movement for the liberation of the rich. Russia is an impressive example of the global trend toward growing economic inequality in the 21st century. But at the same time Putin’s Russia is, in a sense, a socialist utopia: only nature is exploited! The quarrying of natural resources in Russia resembles the technological wizardry and the shenanigans of the financial industry in the west in one distressing way. Russia’s ruling class did not enrich itself by exploiting labour but by privatising the public patrimony, especially the country’s hydrocarbon industry. Ordinary Russians do not even seem to them to be worth exploiting. Nor is there much to be gained by oppressing them or forcing them to swear allegiance to an orthodox ideology. Rather than trying to dominate or control their fellow citizens, the privileged few have simply turned their backs on them. This strikingly new Russian pattern of spoliation and neglect tells us much more about what is going wrong in the west today than does the older pattern of repression and exploitation characteristic of most illiberal and undemocratic societies in the past. The fact that many of these newly superfluous Russians have university degrees also illuminates the dubious role of higher education in the world to come. Education may confer status but it does not necessarily provide access to jobs. Russia is a classic case of how a handful of very rich and politically unaccountable self-enriching rulers have, despite internal rivalries, managed to stay atop the country’s fragmented society without resorting to historically high levels of violence. This political model, neither democratic nor authoritarian, neither exploitative in the Marxist sense, nor repressive in the liberal sense, is an image of the future that should keep us awake at night. In short, what causes anxiety in the liberal west is not that Russia will run the world, but that much of the world will be run the way Russia is run today. What is disturbing is that the west has started to resemble Putin’s Russia more than we are ready to acknowledge. Ivan Krastev is Visiting Lecturer in Interdisciplinary Programmes at The Graduate Institute and Geneva Permanent Fellow, Institute for Human Sciences (IWM), Vienna. He is also Chairman of the Centre for Liberal Strategies, Sofia. He is author of After Europe (University of Pennsylvania Press, 2017).